Welcome to all of the many new members that have joined since the last issue of the WORLD and the contributors to the latest issue of the WORLD. Thanks to Karl Furritter, Tony Jiminez, Andrew Mitchell, Dawson Vela, Chris Easterling and the other contributors to this issue. As the new membership card is plastic it is meant to be permanent and will no longer include your membership expiration date. Your membership expiration date and membership number card always be found on the label on each issue of the printed WORLD. Call, email or text us if you ever need a replacement card, your membership number or your membership expiration date. Join us on Facebook at Chevy Club (www.chevyclub.com/groups/chevyclub) and follow us on Twitter at chevyclub (www.twitter.com/chevyclub). Classified ads will now appear on our website, in the club magazine, the World, in the eWorld and on Facebook and Twitter. Chevy Club Technical Sections is now available in the club store. It contains a complete copy of all the Technical Sections, topics, questions and answers published in the World from 1998 thru current. It is available in both printed and on CD-Rom for PC or Mac in pdf format. It is indexed by subject for easy reference and contains articles, topics, questions and answers and is available in the Club Store section of each World and on the website at www.chevyclub.com . Another item in the store is a complete copy of the past issues of the World available on CD only for PC or Mac. The club also now has a blog located at https://chevyclub.com/wordpress . Members can publish items to the Blog as well as leave comments. We have expanded our list of free items that members can receive with 3 year membership or renewal. You can now receive either a free t-shirt, a tech CD (or emailed) or past issues of the World in pdf format on CD (or emailed). We offer a 3 year membership or renewal rate for $80 or $95 for members outside the USA. We also have a 3 year eMembership for $50 which also includes the free items. Save money and get a t-shirt or tech sections on CD (or emailed) or Worlds on CD (emailed)! We also have a members only section on the main website where only members can access with the User ID and Password found on page 3 of this issue. Members now have access to the newsletter and other items. Also now you can to create your own id and password for the members only section. Submit the form on the members only page to do this. We are in need of people for our technical staff. The position could also benefit you as the technical staff people can advertise their business free in the newsletter as well as by letter and phone. Help your fellow members while you publicize your expertise. The Silverado 1500, Chevrolet’s best-selling vehicle, is getting a complete redesign for 2019. 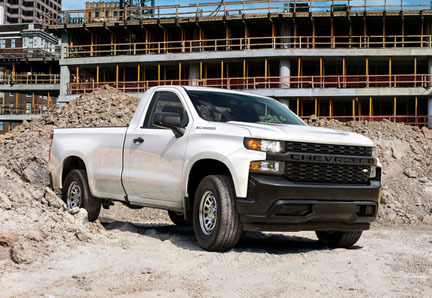 The all-new 2019 Silverado 1500 will be available with eight different trim packages, which Chevrolet managers say translates into a truck for every buyer. The trucks will range from the most basic "Work Truck" trim all the way up to the feature-rich "High Country" model. More improvements have been made to the truck’s aerodynamics. The shape of the front end has been improved to duct air around the tires, while the shape of the roof and the shape of the tailgate have been designed to move air smoothly over the bed. 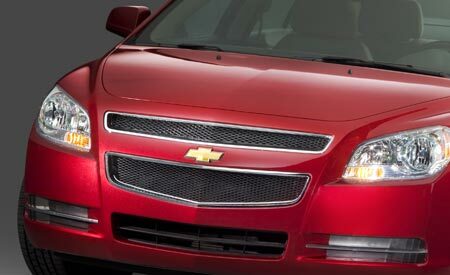 All of this results in a seven-percent improvement in aerodynamics, according to Chevrolet. 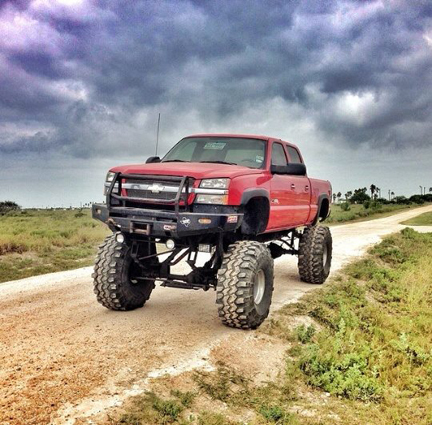 As for size, the truck is also bigger than the current version. Its wheelbase is nearly four inches longer, while the overall length is up 1.6 inches and height is up by about an inch. 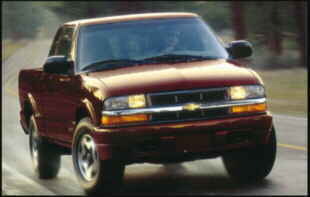 Chevrolet managers say the passenger volume has increased, and so has the cargo volume in the bed of the truck. In that bed, customers can opt for a series of storage compartments over the wheel arches that, when installed, will still accommodate a full four-by-eight-foot sheet of plywood. There are also now 12 tie-down points, each capable of supporting up to 500 pounds -- twice as strong as those in the previous model. There's even an optional power tailgate that can be operated from a button on the key fob, a button in the cab, or a button on the tailgate itself. The 2019 truck was first shown at a centennial truck event in Dallas last month, marking 100 years of Chevrolet trucks. At that reveal, Chevrolet said they gathered feedback from 7,000 people when designing the new truck, which the company says is the most research it has ever done ahead of a new model. 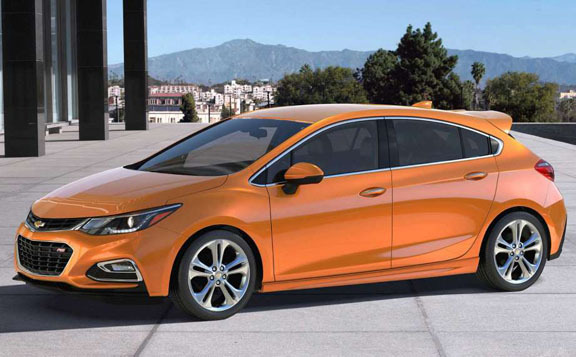 Chevrolet's compact Cruze returns for 2017 with an addition to the Cruse lineup: the first hatchback version. Prices begin at $20,965 (plus $875 freight) for the base LT model with a six-speed manual transmission, and $21,920 for the LT with a six-speed automatic. The uplevel Premier model is $23,945, and comes only with the automatic. Under the hood of the Cruze Hatch is the same turbocharged 1.4-liter Ecotec four-cylinder engine from the sedan, rated at 153 horsepower and 177 foot-pounds of torque. It's connected to either a six-speed manual or six-speed automatic transmission. 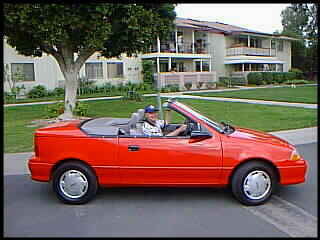 EPA ratings are 28 mpg city/37 highway with the LT manual or Premier automatic, and 29/38 with the LT automatic. He has a '73 blue Caprice classic convertible. Aaron has an '80 maroon Malibu. Lucio has a '63 Chevy C-10. 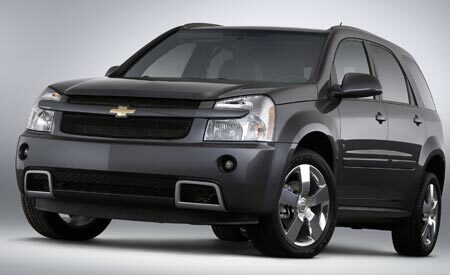 Chevrolet has brought back the Avalanche…at least some of it. The new Silverado High Desert features a cargo management system it its bed that’s reminiscent of the one featured on the unique, multi-configuration Avalanche, which was discontinued in 2013. It can’t extend the load floor into the cabin, like the Avalanche’s did, but has a moveable cargo divider, compartments in the bed sides, and a rigid tonneau cover. It can all be locked up, and is water-resistant, if not 100 percent waterproof. A buttress-style sport bar completes the homage to the Avalanche, but the High Desert is also the first and, for now, only Silverado available with GM’s magnetic ride control suspension system, currently standard on the GMC Sierra 1500 Denali. To get it, you’ll have to opt for a redundant-sounding top of the line Silverado 1500 High Country with the High Desert package, which is also available on the LT and LTZ trim levels in Crew Cab trucks. Prices for the High Desert Silverados will be revealed closer to its on sale date this fall. Robert has a ''71 red Nova. He has a 1933 tan Chevy Coupe. He has a '57 Bel Air. James has a 2015 gray Silverado and a white 2012 white Malibu.